Many people will do a hard reset on their diets this winter. The combination of holiday excess and New Year's anxiety will send some all the way back to the stone age - some may finally try the Paleo Diet that has been crowding their friends' social media feeds in between Crossfit status updates. Yet according to Luz Calvo and Catriona Rueda Esquibel, authors of Decolonize Your Diet: Plant-Based Mexican-American Recipes for Health and Living, it might not be necessary to go so far back. 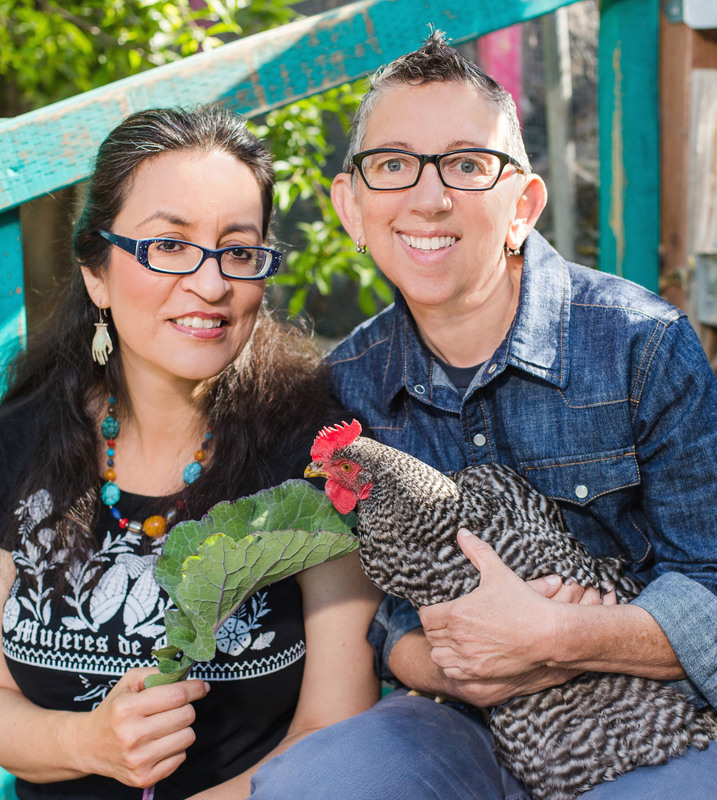 Partners and colleagues who teach ethnic studies with an emphasis on Latino populations at different Bay Area universities, Luz and Catriona set out to find what was wrong with their otherwise healthy diets when Luz was diagnosed with breast cancer in 2006. "For me and for us as a couple, it produced a crisis around food," explains Luz. "After I got through the treatment, I was trying to figure out how to recover and prevent the cancer from coming back." They soon discovered that many traditional, Meso-American ingredients that had fallen out of their diets over successive generations in the United States had the very nutrients they were looking for to aid Luz's healing. The result is Decolonize Your Diet, which questions everything that has shaped the standard American diet since Columbus. The couple finds solutions in the nutrient-rich plants, fruits and vegetable that have been growing in the Americas all along. We spoke to Luz and Catriona about what "decolonizing your diet" can mean for your health and the troubling paradox at the heart of it - here's our edited interview. What was the initial impulse behind writing this book? Luz: We started doing a lot of research on Latinas and breast cancer and discovered the critical fact that foreign-born Latinas have a 50 percent lower risk of breast cancer than US-born Latinas. As we delved further in the literature, we found that the longer you live in the United States, the higher risk you have of breast cancer for those who are immigrants. The higher education level you have or if you're English speaking versus Spanish speaking, the higher your risk of breast cancer. That was really curious to us. We hadn't heard that before, and we were trying to figure out what they meant at a personal level, as a highly educated, PhD, US born person, who is of Mexican descent. We started thinking about food and comparing the way immigrants eat versus the way U.S.-born Latinas eat and researching foods that we remembered our grandparents talking about that we no longer ate like quelites, verdolagas, andnopales. We found out there were really healthy and traditional plants that have strong anti-cancer properties. That's where we started. Are there any negative trends in the traditional Mexican diet as it adapts to life in the United States that explains the Latino/a immigrant paradox you describe in the book? Catriona: Working-class people tend to eat beans more often and as people become more financially successful they eat beans less. 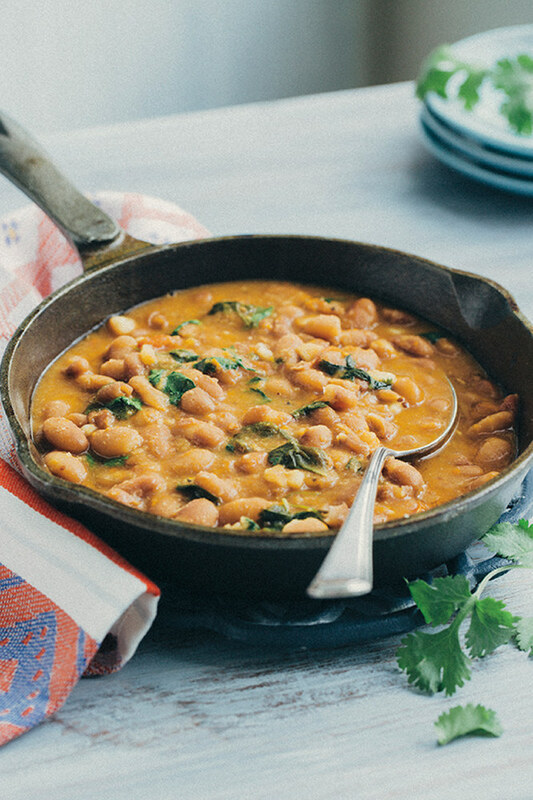 Because beans are very high in fiber and minerals and stabilize blood sugar, taking this important component of the diet out makes for a big change in health outcomes. Luz: When it comes to Latinos, it's our recent immigrants, who are living for the most part under difficult circumstances, that have really good health. We think that we can switch the table and say that this knowledge that they have and this way of life that they bring with them is critical cultural knowledge that we need to listen to, gather, respect, disseminate and value.